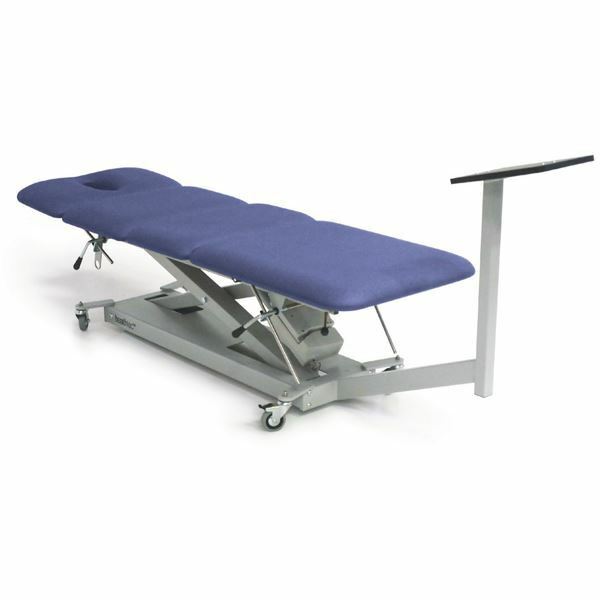 Designed as a basic height adjustable traction table with the flexibility to be used as an extra Treatment Table. Key features include a lockable friction free pelvic section and mounting pedestal can be adjusted to suit any type of traction machine. Upgrade to a swivelling Traction Bracket so the traction unit can be moved out of the way fro regular treatments. Electric Postural Drainage available as an upgrade. Contact us for a product brochure, a quotation on freight or to place an order.